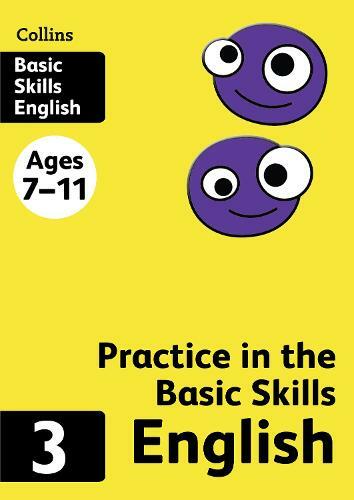 Written by educational experts, this English skills book saves time with ready-to-practice questions that comprehensively cover the basics of reading, writing, comprehension, grammar and spelling for KS2 English. Packed with engaging pictures and clear practice questions it provides a strong foundation in English for Key Stage 2 and builds on English skills learnt in Book 2. Content includes: punctuation, nouns, adverbs, adjectives, vocabulary and spelling, plurals, pronouns, contractions, sentence writing, apostrophes, as well as compound words and opposites.